I'm sure we can figure something out. 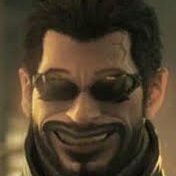 Just to be clear, every mark (non-event) on the Wexxian timeline is 50 years. Hmm than his timeline is off from the Naucean one. In general the Necromonicon War 25 years after the Hacyon War and CAB was established around that time too. Then we'd better get to work on making a fixed galactic timeline, instead of griping about how confusing timelines are! RIGHT, EVERYONE? You wanna necro the thread, or should I? Better making a new one, since that one's already pretty muddled and very, very outdated. Is it outdated or is it the real accurate one? I suppose it's just underupdated and underdetailed, not nessarily inacurate. 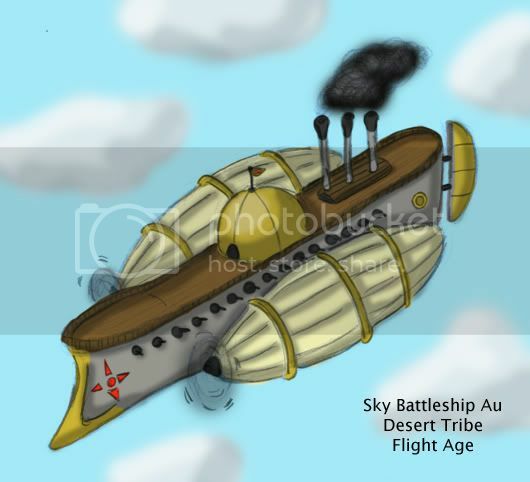 During the Flight Age it was not just the River Tribe that had airship, but the Desert tribe had giant fleets of airships. Their flagship was the Sky Battleship Au which was a double ballooned airship. With cannons on either side and a huge coal engine room it could appear over their enemies and strike fear into them as they bombed their land from the air. There were great battles between the Grassland Tribe and Desert Tribe at the Borders of the Ninsun Plains and Beletseri Desert. The Desert Tribe wanted more land and to exterminate the infidels. The bombs they drop upon the countryside created so many craters that it could be seen from space. These craters were later named the "Nauceanica's Scar". The area never recovered and was later left as a historical landmark. I see. Looks like I must compete with you Hydro. Oh wow I love airships so friggin much. Especially yours. They're awesome. I fully endorse this competition. Why are the balloons strapped beneath the cannons? Wouldn't that leave the ship vulnerable to an attack from directly below, as the majority of its broadsides can't fire directly down? Or are there a bunch of cannons on the bottom that you just happened to forget about? They drop bombs from hatches in the bottom. And this probably would not be able to fly in real life but it was just made to look cool. Like I have said before, the Nauceans are not not the most realistic species. They are made to be more of eye candy than realism. It may be able to fly if the planet didn't have as much gravity, but I'm guessing their homeworld's gravity is about Earth standard. 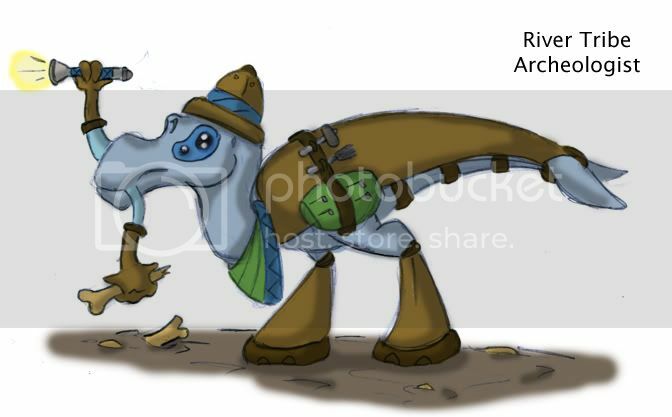 Here is an Archeologist of the River Tribe during the Modern Age. He is on an expedition in the new world. There is some new fossil evidence that lead them to believe that there were once Nauceans living in the new world before the old world Nauceans arrived. However why they disappeared is still a mystery.